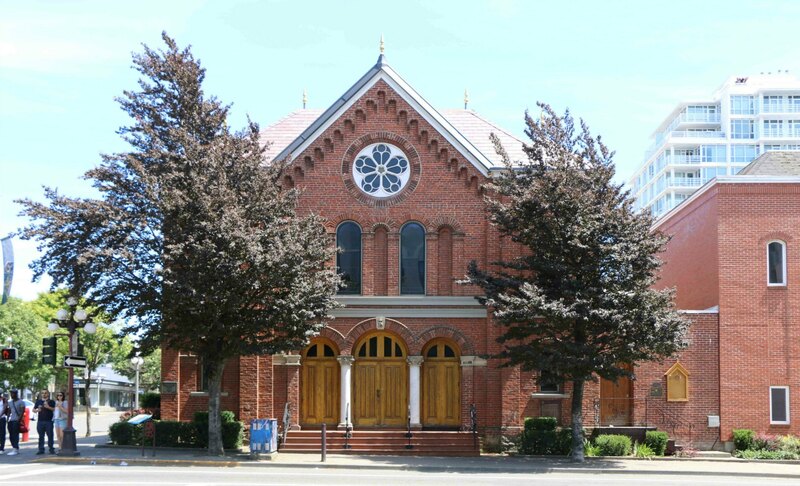 Congregation Emanu-El Synagogue – 1461 Blanshard Street, Victoria, B.C. – Temple Lodge, No.33, Duncan, B.C. 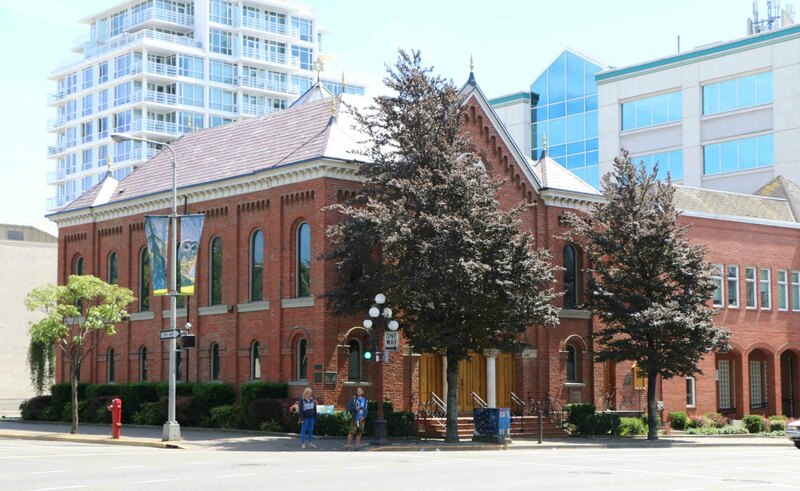 Congregation Emanu-El Synagogue – 1461 Blanshard Street, Victoria, B.C. The Congregation Emanu-El at 1461 Blanshard Street in Victoria, B.C. is the oldest synagogue in western Canada. It was built in 1863 and has been in continuous use as a synagogue ever since. It was formally recognized by the Canadian Register of Historic Places in 1979. It has many associations with Freemasons and Freemasonry. Funds for construction of the synagogue was raised by Lumley Franklin, Victoria’s second Mayor and a Charter member of the first Masonic lodge in British Columbia. Victoria’s Freemasons laid the cornerstone of the Congregation Emanu-El Synagogue in 1863. Many Freemasons have been members of Congregation Emanu-El, including: Lumley Franklin, Lewis Lewis, Simon Leiser, Rabbi Elias Friedlander, (former Chief Rabbi of Congregation Emanu-El), Samuel Schultz, Max Leiser. On 2 June 2013, Victoria’s Freemasons, led by the Grand Master G. Murray Webster, participated in a recreation of the original 1863 corner ceremony as part of Congregation Emanu-El’s 150th Anniversary celebrations.